The last World Finals ever at Sam Boyd Stadium in Las Vegas, NV has officially wrapped up and it was nothing short of wild. 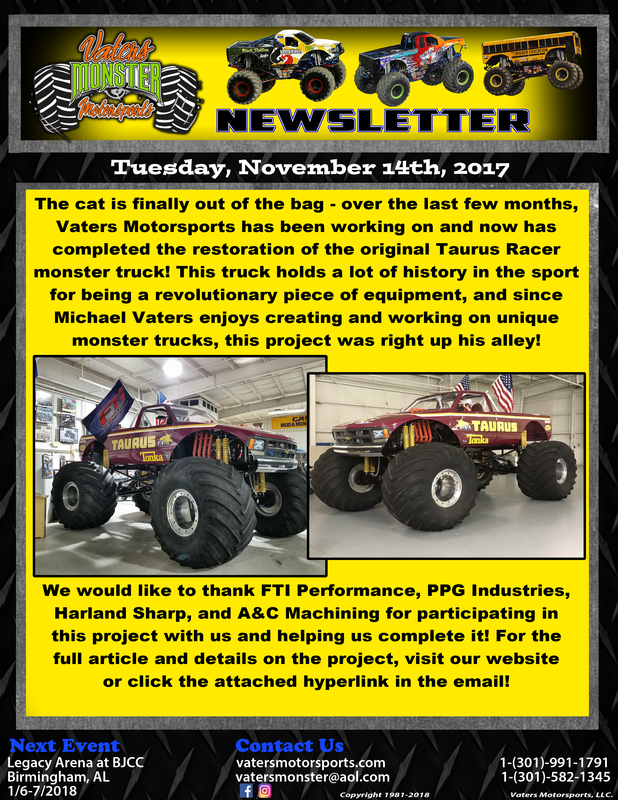 Unfortunately for Vaters Motorsports, 2018 was simply not our year to bring home another championship. 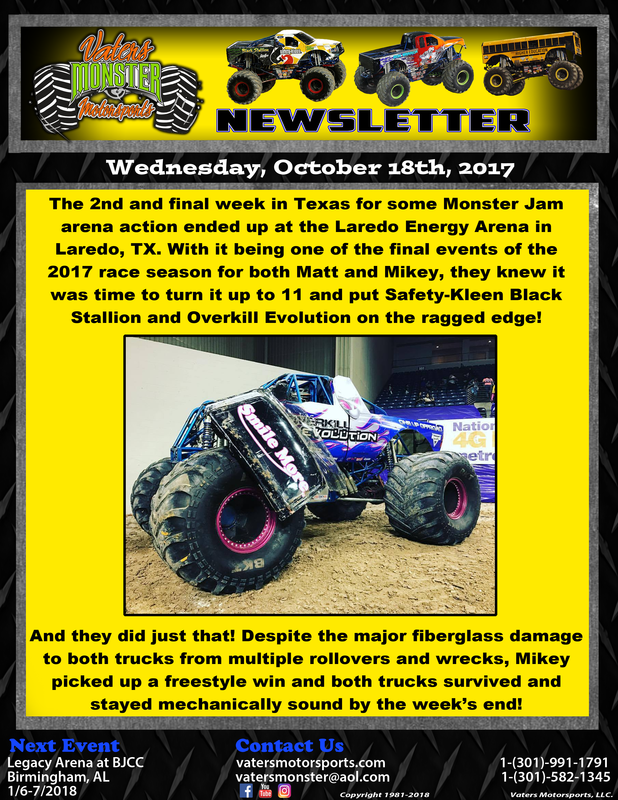 Matt took Blue Thunder into the Double Down Showdown racing bracket as the favorite to win his race against Kayla Blood in El Toro Loco. Though he led the entire race through Thunder Alley, the straight away, and the turn, exiting the turn he slapped against the center dirt ramp and caused him to lift from the throttle which allowed Blood to drive around and take the win. 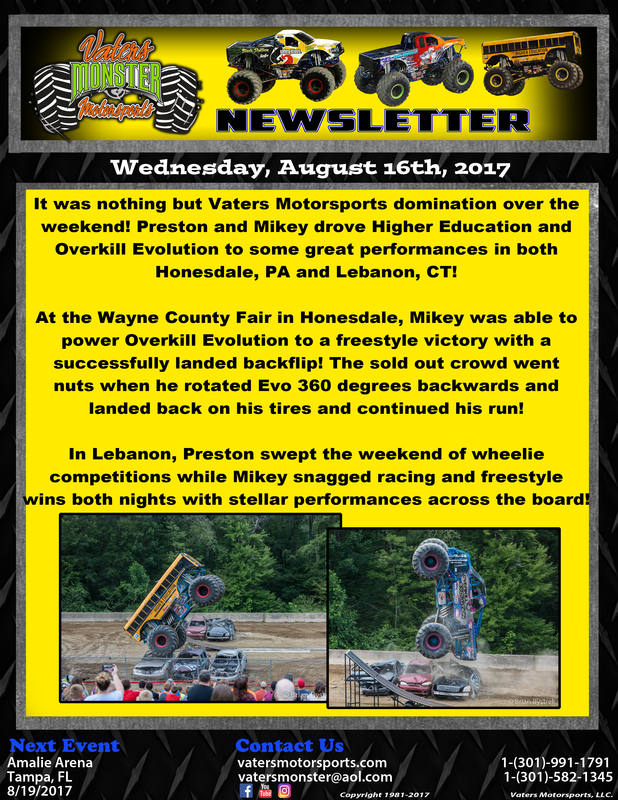 Matt’s night ended early but the truck was performing at 100%, and his race was the only upset of round one. Today, we unveiled our latest secret project to the world – bringing the legendary Taurus name back into competition! 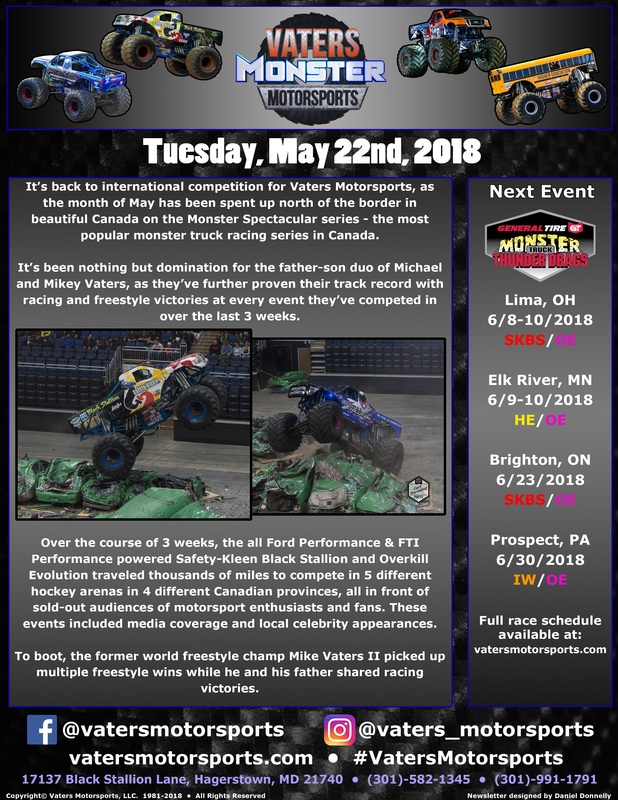 While we did not formally announce yet that it will be competing at select Monster Jam events in the spring, we are building even more anticipation for its official announcement on Saturday afternoon. We also bought our recently restored Taurus III out for display, to be parked alongside the newest Taurus truck. Our social media presence has increased drastically ever since our first posting today at 12:00pm EST! The first post received the most likes, comments, shares, and traffic we’ve ever gotten on our Facebook page naturally (without paying to advertise)! We’ve received hundreds of new followers in less than 12 hours simply based off of 3 posts. Our social media platforms are now even more on the map thanks to this special project! Tomorrow night, Matt Cody and Mike Vaters II will be competing for their respective championships. 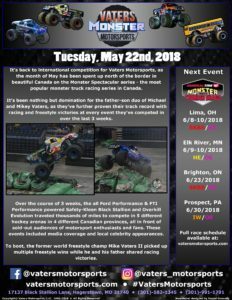 Vaters Motorsports could potentially win a Double Down Showdown and World Racing Championship in one night! Don’t miss a second of the action through our social media updates!